"Baahubali - the Beginning" has collected Rs 502 crore gross at worldwide box office in 24 days. Prabhas and Rana Daggubati's period movie "Baahubali - the Beginning" (Bahuabali) has crossed the Rs 500-crore mark in gross collections at the worldwide box office after its fourth weekend. Despite clashing with new Telugu, Tamil and Hindi releases, "Baahubali - the Beginning" kept cash registers ringing at the worldwide box office in its fourth week. All the four versions - Telugu, Tamil, Hindi and Malayalam - of the movie were seen running with 100 percent occupancy in many centres around the world. The film managed to register an average of 70% occupancy over the weekend. The Telugu version of "Baahubali - the Beginning" has raked in Rs 20 crore gross at the Andhra Pradesh and Telangana box office in its fourth weekend, taking its 24-day total to Rs 155 crore gross. The film has raked in Rs 130 crore nett in these areas in 24 days and the distributors' share stood at 105 crore. The movie has created history in these regions too. In its fourth weekend, the Hindi version of "Baahubali - the Beginning" collected Rs 7.7 crore nett at the Indian box office, taking its 24-day domestic total to Rs 103.31 crore. Its approximate gross total is Rs 165 crore. It is the first dubbed Indian regional movie to join the Rs 100-crore movie club in the domestic market. It has become the fourth Indian film to achieve these numbers in 2015. The Tamil version of "Baahubali - the Beginning" raked in about Rs 70 crore gross from its screening in Tamil Nadu, Karnataka and other parts of India. Its Malayalam version is estimated to have grossed Rs 12 crore in 24 days. Its Telugu version has raked in approximately Rs 25 crore gross in Karnataka. 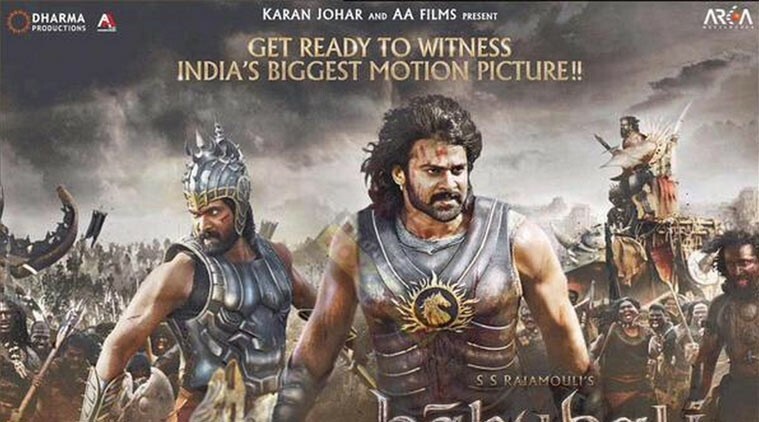 The Telugu, Tamil and Hindi versions of "Baahubali - the Beginning" were released in around 22 international markets. Together, they are estimated to have collected Rs 75 crore gross at the overseas box office in 24 days. This is said to be the highest ever collection for a south Indian film. "Baahubali - the Beginning" is estimated to have collected approximately Rs 502 crore gross from all the four versions at the worldwide box office in 24 days. Its nett collection stands at Rs 370 crore. It is the first South Indian film to cross Rs 500 crore and fourth Indian film to achieve this rare feat after Bollywood movies "PK", "Dhoom 3" and "Bajrangi Bhaijaan". Disclaimer: The collection figures of "Baahubali - the Beginning" menioned in the above article are estimated numbers and may vary from actual figures.